2008 Article "1919 Unknown Hobo"
Reevesville Cemetery was established in 1865 when Samuel Cummins set aside approximately one acre, of his farm, for a cemetery when his two infant daughters were buried there. In 1941, approximately one more acre was purchased, bringing it to the current 2 (approx.) acres. Cemetery trustees voted in 2001 to purchase stones to mark the known u nmarked and temporarily marked graves. A total of 60 permanent granite markers were placed. Until this time, many graves have only been identified by temporary metal markers, which were easily subject to damage and loss of information. There remain several graves unmarked because they were not identifiable. Some are marked with natural stone, with no engravings. Since many of the graves date back to the late 1800's and early 1900's, dates and, in some cases, first names were not available for all of the new markers. If anyone has any information that may benefit this endeavor, please contact one of the comittee members. Please submit ideas for improvements to any committee member. Thanks for all of your donations for upkeep. We want to thank everyone for your continued support and donations. 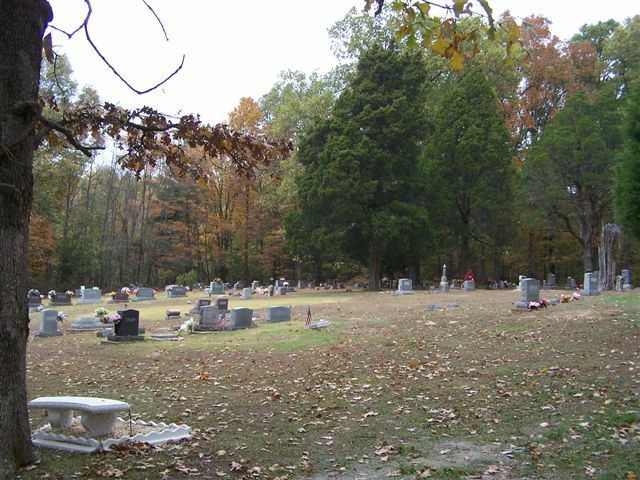 Without YOU it would not be possible to keep the cemetery maintained and improved. Please mail donations to any committee member below. A special thanks to Bob Koneman for mowing and the extra work he does to keep it looking so nice. We want to thank everyone for your continued support and donations. Without YOU it would not be possible to keep the cemetery maintained and improved. Note: We only list dollar amounts donated by groups, reunions, memorials, etc., electing not to list amounts donated by individuals. However, they are available upon request. Special Thanks to Bob & Barb Koneman for the Great Care! The above committee members would like to take this opportunity to request your assistance. We have posted a notice at the cemetery that one of us be contacted prior to interment. However, in the past, some family members have failed to do so and have taken it upon themselves to decide where someone is to be buried. Some have even instructed the burial to be placed other than where they had requested and received approval. The cemetery is now becoming quite full and several spaces have been reserved. Although we have record of the request, several plots have yet to be marked. In an effort to prevent conflicts, we ask you to assure a representative, of anyone requesting burial in the Reevesville Cemetery, has made proper arrangements with one of the committee. Of course, this would exclude anyone with an existing headstone. Also, we would like to take this opportunity to ask that any excess dirt, following a burial, be deposited in the clearing near, and east of, the circle drive. Rather than being piled, it would be helpful if the dirt could be somewhat spread. Some of the woods and boundaries are private property, on which we are not authorized to deposit residue. Permanent markers have been ordered to replace temporary markers for 57 graves at the Reevesville Cemetery. The stones will be placed, after engraving is completed, sometime this summer. Until this time, many graves have only been identified by temporary metal markers, which were easily subject to damage and loss of information. The new granite markers will permanently identify the graves with names and dates, when available. There remain several more graves that do not have names as to who may be buried in them. They are marked with natural stone, with no engravings. Since many of these graves date back to the late 1800’s and early 1900’s, dates and, in some cases, first names were not available for all of the new markers. If anyone has any information that may benefit this endeavor, please contact one of the committee members.